Obama the candidate seemed to rise above his opponents. The president Wednesday night was battling enemies, real and imagined. This didn’t look anything like the Barack Obama I remember from the campaign. Obama the candidate seemed almost unaware of his opponents. At his best, which was most of the time, he rose above them completely, utterly unwounded by the attacks. He also seemed like an adult. Obama was forever reminding audiences of the hard choices America needed to make, choices that had been sugarcoated when they weren’t ignored completely by politicians too fearful to tell the whole truth. Once elected, Obama promised, that would change. Never has a president been warped by Washington quicker. At times tonight, Obama sounded like an embattled second-termer with a 35 percent approval rating. What percentage of his speech was spent lashing out at his enemies, real and imagined? Radio and cable-television pundits, George W. Bush, former Congresses, unnamed ghouls employing “scare tactics,” whose “only agenda is to stop reform at any cost”—they’re all against him, Obama said. And they’re lying. Never has a president been warped by Washington quicker. At times tonight, Obama sounded like an embattled second-termer with a 35 percent approval rating. This isn’t how confident leaders speak. These are the complaints of a man on his way to bitterness. So soon? Fine. But when it came time to explain where the money would come from—that $900 billion over 10 years—he flinched. His answer: Why, by eliminating waste and fraud from the current private system, of course. Also, the insurance companies (maybe the most reviled industry in the world since the makers of DDT went under) may have to reduce some of their obscene profits. And that was pretty much it. Nobody else—not seniors, not the middle class or the poor or anyone else you have ever met personally—was going to have to pay anything for this wonderful new system. In Obama’s telling, there are only upsides. Free ice cream for everybody. This is deceptive. In fact, it’s a lie. Obama the candidate would have been ashamed to say it. 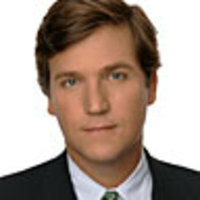 Tucker Carlson is a contributor to the Fox News Channel. He previously hosted The Situation with Tucker Carlson and Tucker on MSNBC after working for CNN.